2mm Clutch pencils have long been used for most kinds of drawing and sketching. 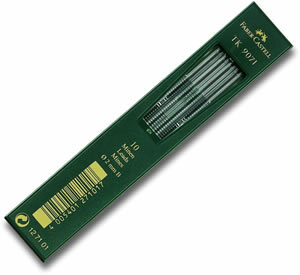 Faber's classic TK ranges of Clutch pencils offer classic, sleek pencils with high quality leads in a wide range of grades. We also have sharpeners especially for 2mm leads to keep your pencil ready for action at all times! The classic, reliable clutch pencil! 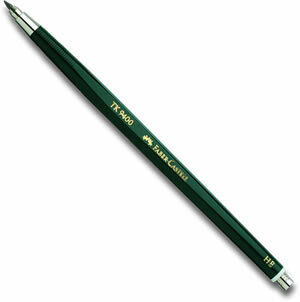 Faber Castell TK 9400 Clutch Pencils have a hexagonal barrel with an ergonomic grip, jaws which grip the leads firmly in place and 11 different grades of hardness available. 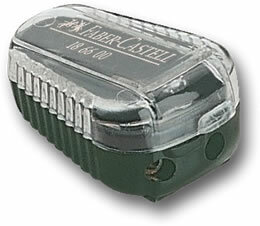 Faber Castell TK 9071 Clutch Pencil Leads give an intense black, blueprintable line with a smooth surface. For blueprints use 6B - 5H, for microfilm 6B-3B and roughened transparency HB-6H. Tubes of 10 leads. A handy little sharpener for getting the perfect point on your 2m or 3.15mm leads. 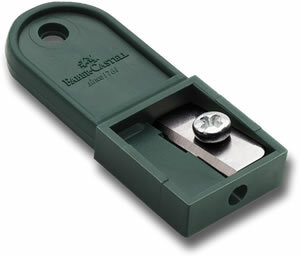 An excellent little sharpener for sharpening 2mm leads.